What is homophobic and transphobic hate crime? So any incident or crime, which is perceived to be motivated because of a person's sexual orientation or transgender identity - either their actual sexual orientation or gender identity or as perceived by the offender - will be recorded as such. Hate crimes can be committed against a person or property. How will the Police and CPS treat Homophobic and Transphobic Hate Crime? The Police and other criminal justice agencies consider all hate crime to be very serious, including homophobic and transphobic hate crime. When a case is prosecuted, the courts can impose a stronger sentence under powers from the Criminal Justice Act. This reflects the priority placed on these crimes. The Police have performance targets and measures in place to ensure the service they offer is of the highest standard. The Crown Prosecution Service (CPS) is the organisation that takes cases through the court system. 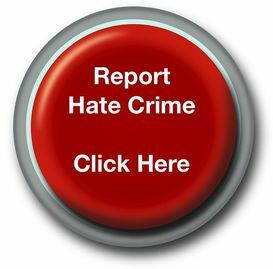 They have produced guidance on Homophobic and Transphobic Hate Crime that is available on the 'Prosecuting hate crimes' page of this website (opens in new window).